If you own a pass-thru entity, you hopefully already know the new tax law provides a gigantic new tax break: the Sec. 199A pass-thru entity deduction. If you’ve done your research or discussed the new tax law with your accountant, you may also know that successful service businesses may get disqualified from using the pass-thru entity deduction. Disqualification occurs for most high-income “white collar” professionals (doctors and lawyers), super-successful celebrity types (actors and musicians and athletes), and investment bankers. Not surprisingly, this fuzzy disqualification based on “reputation” or “skill” generates a bunch of questions from taxpayers. So I’m going to try and shed some light. Tip: If you’re not yet knowledgeable about the new Sec. 199A pass-thru entity deduction, stop here, read last week’s blog post (and maybe a few of the comments), Pass-thru Income Deduction: Top Twelve Things Every Business Must Know, and then come back. For purposes of this blog post, I’m going to assume you know the stuff covered in that post. And now let me share three thoughts you may find useful to determine whether you risk losing the pass-thru entity deduction due to your reputation or skill. A first thought: Pay attention to the article, “the”. The law says you get disqualified if you earn a high income in a situation where the principal asset of the business is reputation or skill. The law does not say you get disqualified because a principal asset is reputation or skill. Frankly, I stumbled on the difference between “the principal asset” and “a principal asset” in my first, like, twelve readings of the new law. And then another tax practitioner pointed out this important difference. Of course, your reputation or skill matters. But here’s the test: Think about what the principal asset of the business even is. If at least one other obvious principal asset doesn’t “trump” your reputation or skill, well, I think you get disqualified. For example, let’s say you’re a really successful real estate broker with a high income that potentially means you lose the pass-thru entity deduction. Other than your reputation or skill, what other item could you possibly label as the principal asset of your business? A cell phone? Your laptop? Maybe the car you lease? By the way? The same situation applies to an independent contractor (like a software programmer). For example, a successful blogger where, yes, writing skills matter a lot… but really where advertisers pay the blogger big bucks because of heavy targeted website traffic. Or, another example, a software or games developer where, really, the developer doesn’t sell a service but a digital good. A piece of software, in other words. My thoughts about the “the” versus “a” thing? If you’re going to take the position that your reputation or your skills don’t count as the principal asset of the business, you need to be able to point to something else really concrete and obvious as the principal asset. 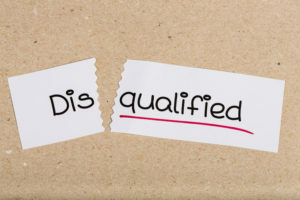 A quick thought: If you’re trying to convince yourself you aren’t disqualified because your reputation or skill surely can’t be the principal asset of the business, I think you look at who else specifically does get disqualified and who else specifically does not get disqualified. The Sec. 199A law references another older chunk of tax law, 1202(e)(3)(A), and you can look there. The conference report includes footnotes which approvingly reference Treasury Regulations connected to yet another chunk of tax law, Sec. 448, as part of explaining who gets disqualified and who doesn’t. Two quick examples to show you how I’m thinking about this. First, if you’re a doctor or a lawyer providing professional services? A celebrity actor, musician, athlete? A consultant? An investment banker or wealth manager? I think you have to read the law to say, “Hey, Congress doesn’t want guys like me to take this deduction.” End of story. Second, if you’re in a category where Congress has explicitly in either the law or in something like the conference report said you don’t get disqualified, I think you take the deduction. An engineer or architect working on construction projects in the U.S.? Hey, at this point, you look good to go to me. If you really want more detail on the disqualification rules, you may be interested in my Maximizing Sec. 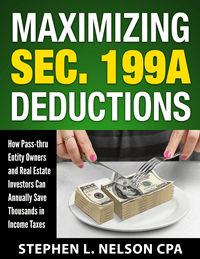 199A Deductions e-book monograph. Thought #3: Can You Sell Your Business or its Assets? A final smaller thought: Can you sell your business? Or its assets? I mean, could you sell the business or the assets to someone else? Ideally for a pretty good chunk of change? If you can honestly answer “yes,” you may have an argument for saying the principal asset of the business is the big thing you’d sell. This approach might give a business owner with a very valuable (and probably marketable?) asset a way to justify using the Sec. 199A deduction. But again, I think this third thought matters less than thought #1 and thought #2. The post Sec. 199A Pass-thru Entity Deduction and the Principal Asset Disqualification appeared first on Evergreen Small Business.